A can’t say enough how amazing the Florida Keys are. 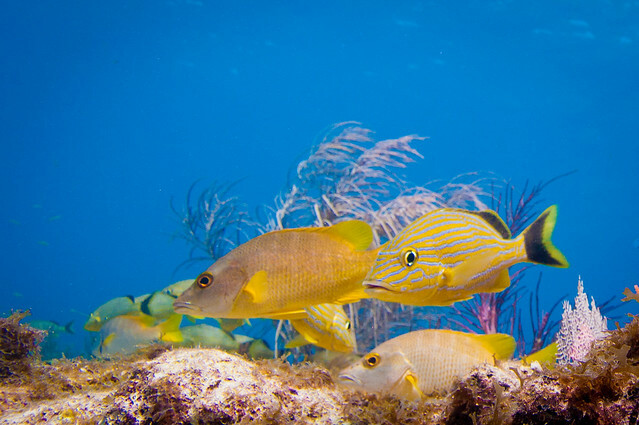 Huge schools of Schoolmaster Snapper and Blue Striped Grunts, porcupinefish, Angelfish, and unfortunately a lionfish hiding under the reef wating to come out at night and do his damage. We are truly blessed to be able to come out here and enjoy this any time that we want, some folks have to plan and save all year for a vacation to get down here or some other exotic destination. I always have to get a shot of Colette with fish and coral! A school of Schoolmaster Snapper mixed in with Blue Striped Grunts. 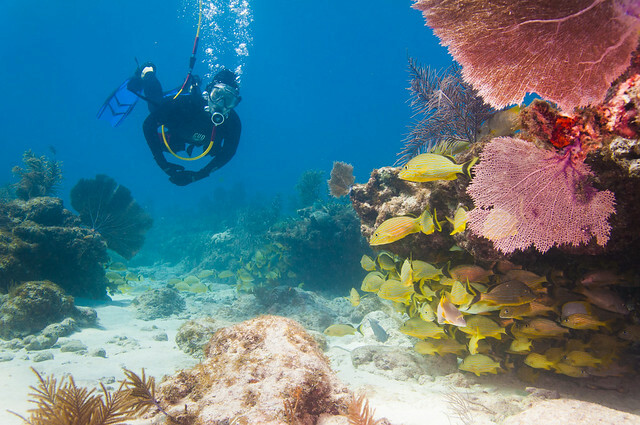 Snapper Ledge has walls and walls of these schools you can swim through and around. 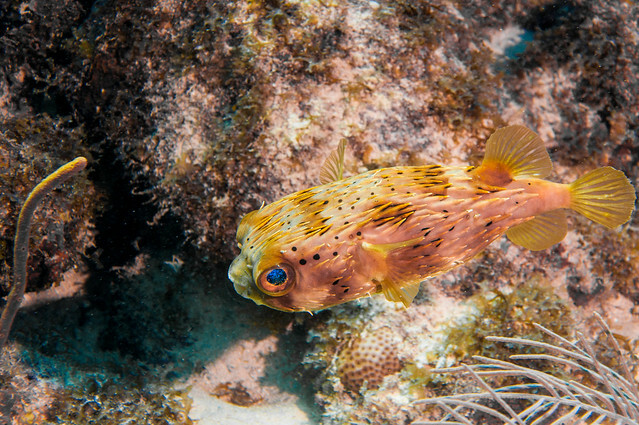 An amazing little Porcupinefish, I was very lucky to catch him as he darted through the reef. 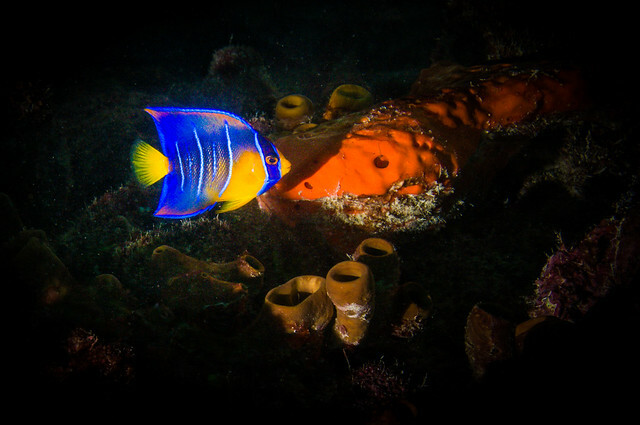 Amazing how fast these little guys can swim with those stubby fins. 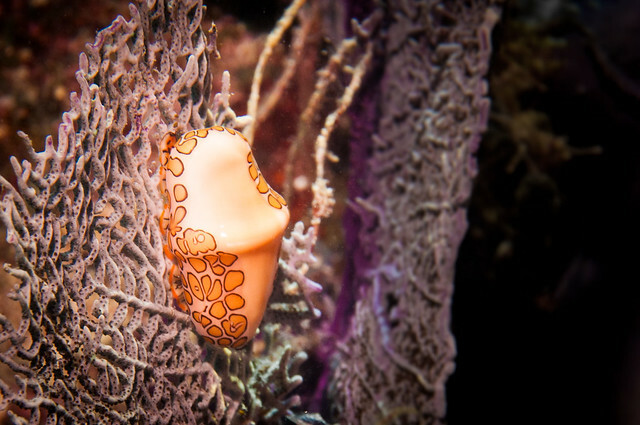 I’ve never seen a Flamingo’s tongue to know why they call these Flamingo Tongue Snails. They are beautiful little snails that feed on soft coral as seen here. 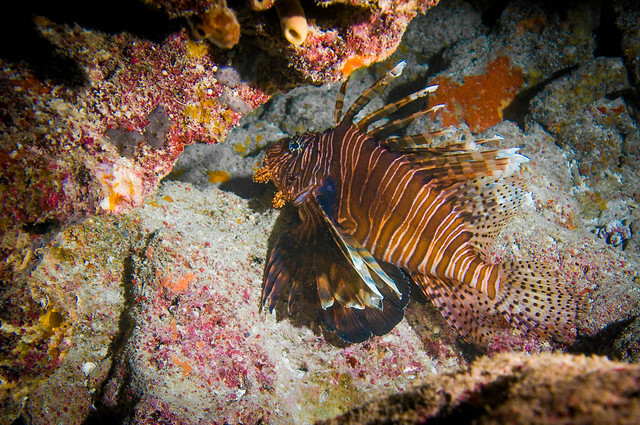 It’s a pity that these lionfish are so invasive as they’re beautiful animals. A single lionfish will eat every other fish on a reef before moving along to the next reef, and they gorge themselves instead of just eating what they need.